Buy and sell here. No auctions. Sticky: Marketplace Reminder - Hey, I'm Talking To You! For Sale GO APE in 2019! 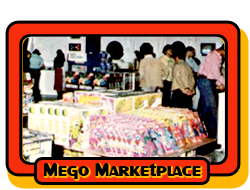 Mego, Cipsa, Neca, Bootleg, Custom, etc… and other misc. toys too! For Sale Toy Collector in Madison, Milwaukee, or Kenosha area? Looking to sell a fair amount..
Would anyone be interested in Empire Hulk Van Parts? items For Sale #2 Romulan-Action Jackson etc.